Methodist! A nickname? A reputation? A methodical people? There are two volumes of Standing Orders and Agendas to prove it – The Constitution and Discipline of the Methodist Church. (All good Methodists know all about it!) I can write about it but, happily, I have no longer to contend with it professionally. In fact I have forgotten most of it. To tell the truth, I never was an avid reader! (How did I survive?) Some people live happily with chaos. I have visited more than one minister’s study with the floor, desk and window ledge littered with books – all sorts of books, manifold sorts of papers, magazines – and they knew, amid the apparent disorder, where to find what they wanted. Somewhere there must be a Bible! It worked for them – genius?? Most of us like some order: we prefer the predictable, especially in church affairs. The cynics among us may be of the opinion that the purpose of our fixed agendas is to ensure that we do things in the way we have always done them. They may succeed in that but, you know, I think their true purpose is to ensure the items essential to our missionary task are there to guide us and keep us on the straight and narrow. 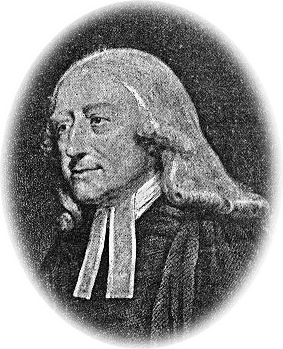 We call ourselves Methodist because John Wesley, George Whitefield, and other friends in their time at Oxford University were known to be most methodical in life and practice and, most of all, in their prescribed religious exercises. It WAS a nickname. That is it in a nutshell – a big subject well and truly documented, so that one wonders how many more books and PhD theses can be written about it. A fascinating study. The danger of being methodical and orderly is that we can stifle the Spirit of God at work among us. A great pity, because the story of the Book of Faith is about the unpredictable. The most surprising – that God should come to share our life in a child born to a lowly, embarrassed ordinary couple; not to a palace but to a dirty, unhygienic stable. Come to us in the form of a servant – Son of the God of surprises. In all our endeavours to be neat and tidy we have to remember that we are not an institution, we are the children of the Living God. Where is the space in the agenda of our life, the agenda of the church, the agendas of the dull routine business meetings, to give God the chance to surprise us? This entry was posted in Methodism, Organisations and tagged George Whitefield, God, John Wesley, Methodism, Methodist Church, Surprise on June 25, 2014 by Anabel @ The Glasgow Gallivanter. The Blog Administrator is on her holidays so there will be no more posts for a while. Normal service will be resumed in August, but in the meantime, she has sent you a postcard from Vermont. 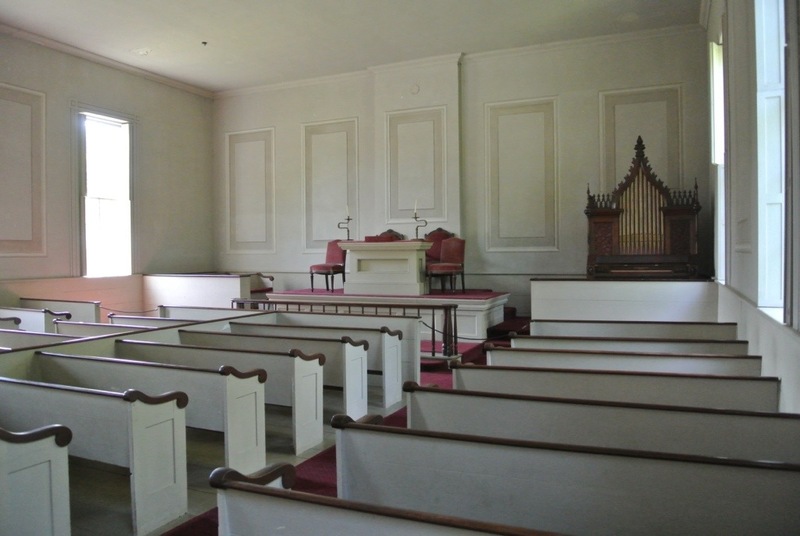 The Meeting House in Charlotte VT was built by the community’s Methodist congregation in 1840. In 1952, it was moved to Shelburne Museum where it can be seen today. 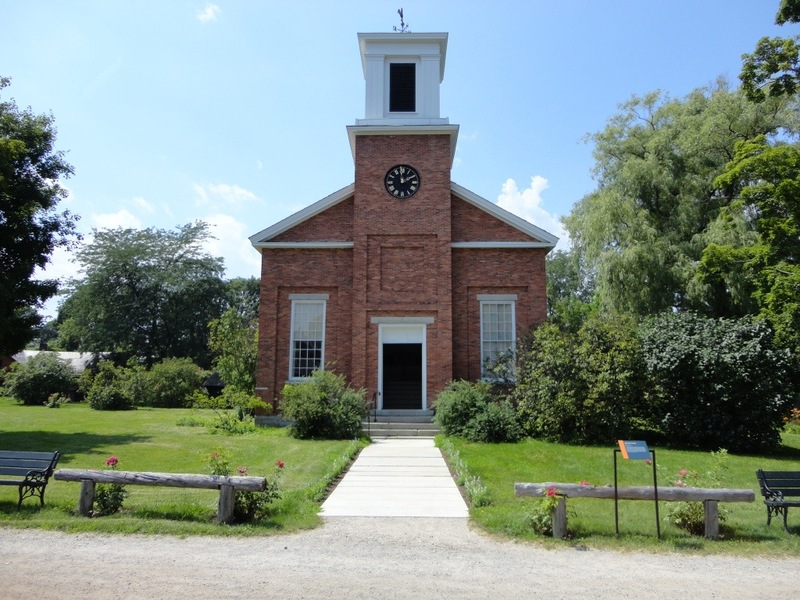 This entry was posted in General and tagged Church buildings, Methodism, Shelburne Museum, Vermont on July 17, 2013 by Anabel @ The Glasgow Gallivanter.